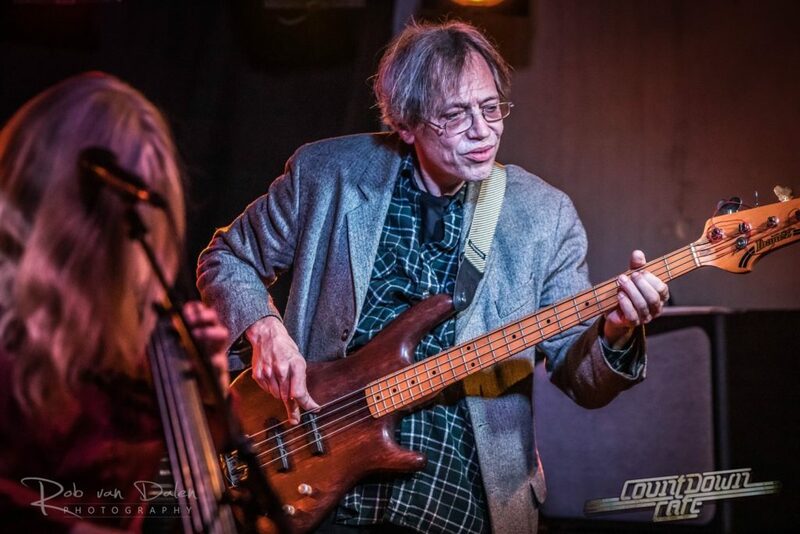 The Freewheelers have been around since 2007 playing their own version of blues, rock, soul, funk and jazz, driven by a cello and bass combination, sometimes with added drums, keyboards or other instruments. Forged during a festival in the Netherlands, two bohemian music lovers found not only themselves but the entire audience interested in the combination of a classical instrument and a rocking, funking rhythm section. Ilene McHolland -Sacramento, USA- With parents that won barbershop choir contests in California in the early fifties, Ilene grew up between a Hammond (that she started playing at 3), guitars, ukeleles and more. 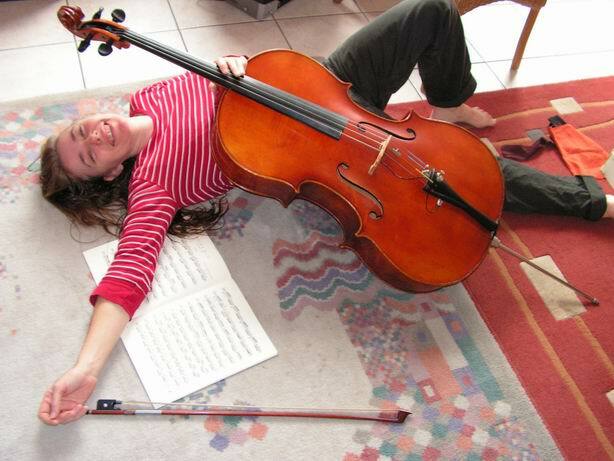 By the time she was 6, she was playing in her parents jazz band, and when she was 12 she choose to play the cello at her high school band. She has a degree in Music from Belmont University. She has sat first chair in many orchestras, including Sacramento Youth Symphony, Brian Farnon Orchestra, Belmont Symphonic Orchestra, Vanderbilt Symphonic Orchestra. In Brian Farnon’s Lake Tahoe orchestra she backed up Frank Sinatra and Sammy Davis, jr. After keyboards took over the orchestra, she went to Nashville to become one of the most asked studio musicians, and became head of the Music School. She played for a short period in Plane James, a band with super drummer Charlie Adams (Yanni) with which she opened for Rush, Foreigner, Alan Parsons, Yes and others. She has been recorded on hundreds of recordings, performed on Entertainment Tonite, and composed and performed movie soundtracks. After she went to Europe, she started playing in Amsterdam where she was quickly picked up by the local music scene. Bas Vossen-Nijmegen, the Netherlands- Born in a musical family Bas always was interested in making music. The very first sign of this was a band with his two brothers, ‘Golden Fox’, when he was about ten years old. His elder brother got a guitar and later an electric bass, that Bas squatted whenever he could. He went to work in a hardrock youth center during the eighties, where he also was a manager of a symfodelic rockband, ‘Light’, and asked to sing in jam band ‘Red Planet’. All friends taught him bits and parts of how to play. At the local music school he was taught blues guitar by Jan Janssen (Point Blue), after which he took lessons at the bass clinic of Walter Latupeirissa (Snowy White, Walter Trout etc). When he moved to Amsterdam, he became friends with Jeroen van Niele, who plays with Lamar Chase, Terry Mann, and LivingBluesXperience. A couple of rehearsal room bands later Bas and his room mates Peter and Maarten (Wolfpin, Band of Friends) started ‘Black Rabbit’ a Black Sabbath coverband that played every Thursday at the Amsterdam hardrock bar ‘The Cave’. When Bas met Ilene a year later, they fell in love and talked about a combination of a sweet sounding cello and a rocking bass. 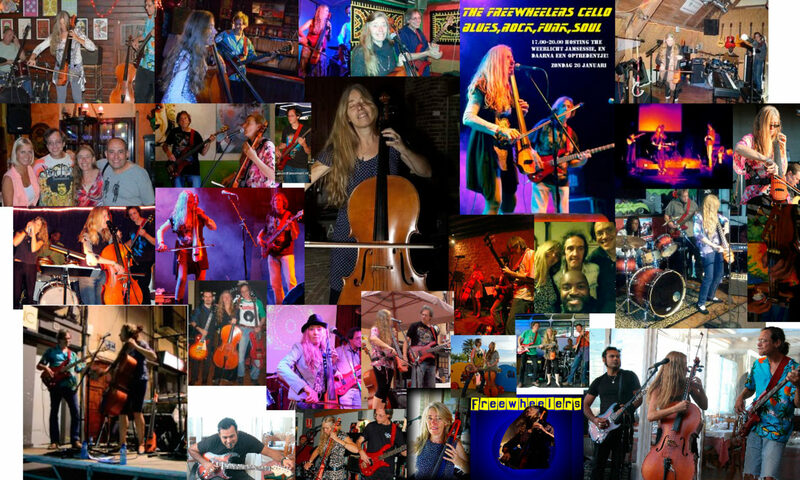 This became the Freewheelers Cello Band, which has toured the EU and now the US West Coast. and artists are equally attracted to what’s going on. A brand new thang. Bas also has learned to do sound, light, merchandise, and is handy in repairing instruments, effects and amps. Website maintenance and poster design are other things that keep him busy; Ilene meanwhile is teaching at the Concord music school, and plays every week at Baudendistel physiotherapy.